Polkadot Sweetheart: New items on offer! 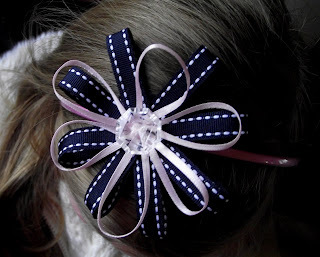 I have had a busy couple of weeks over here. I had a few orders to make and send to their new homes and I have tried to start building a wee stock of items. 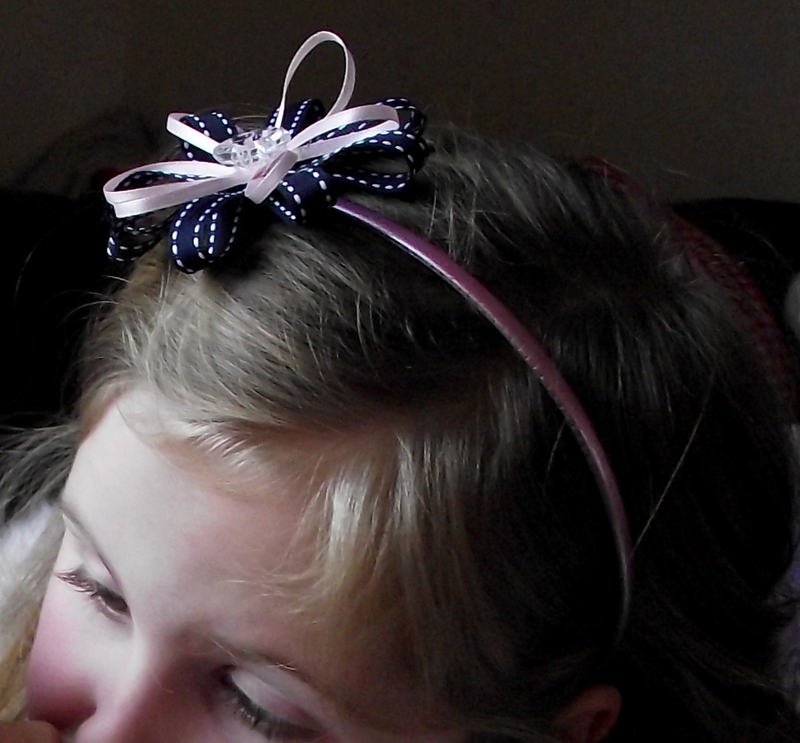 Last weekend my little girl K was heading out for the day with her Granny and Auntie. 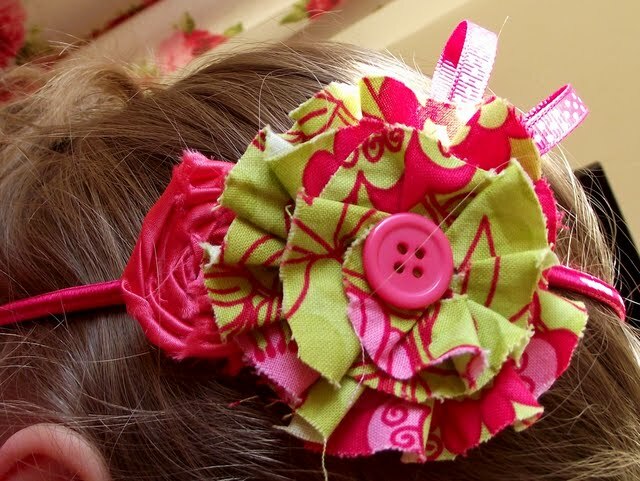 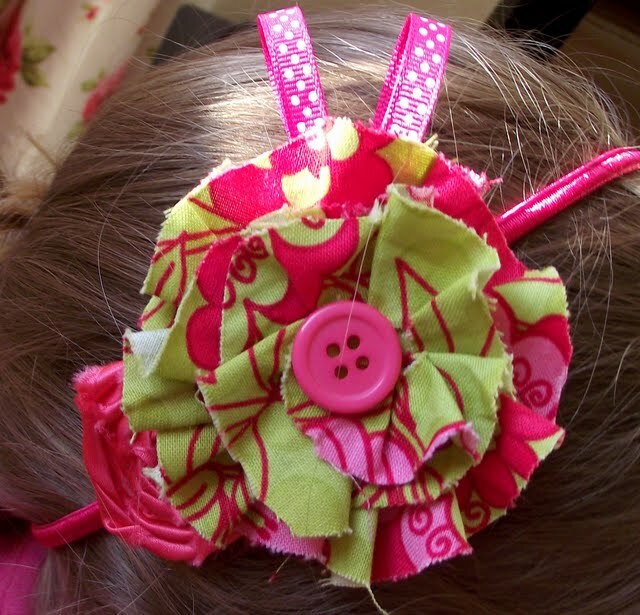 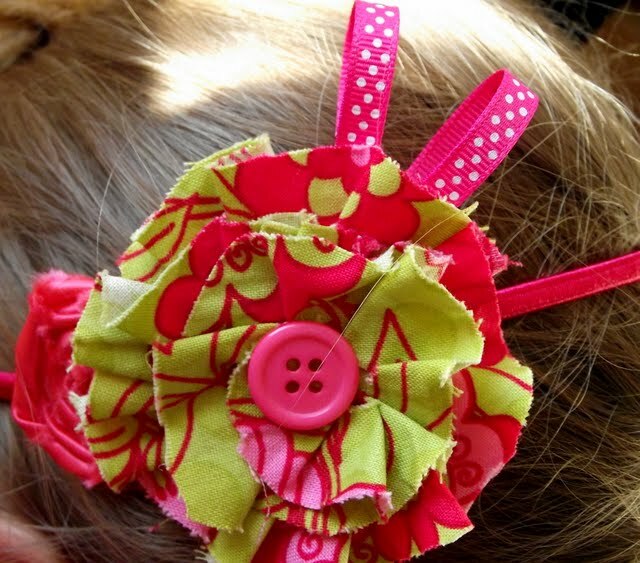 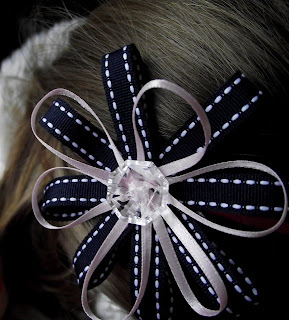 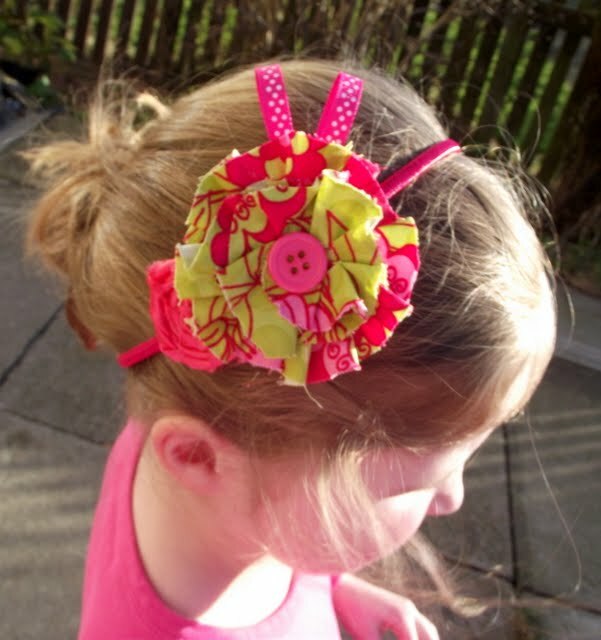 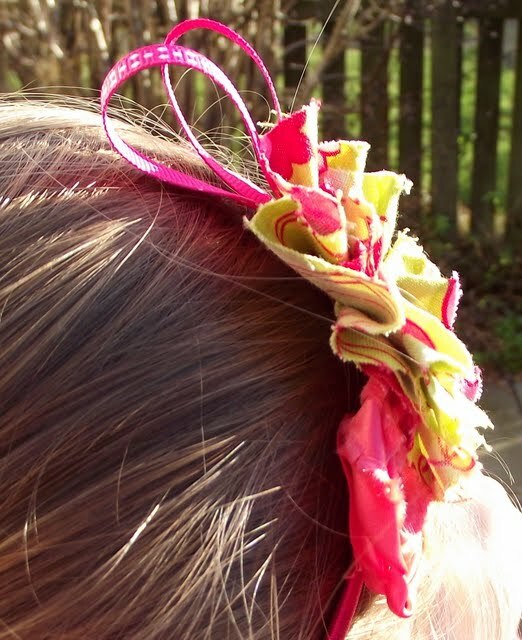 Her sweet new dress was just begging for a hair accessory to match and so I whipped up a starburst flower hairband. 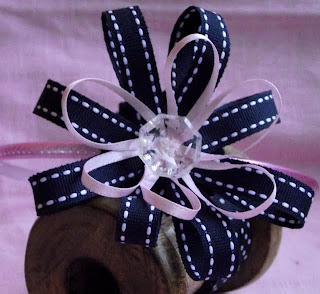 As soon as I saw it I fell in love with and just knew I had to make more! 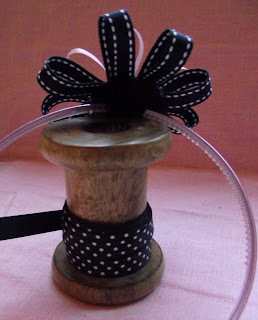 I had enough materials to make one more so I could post it to my folksy. Adorable, slightly frayed, pink polka dot, fabric flower. 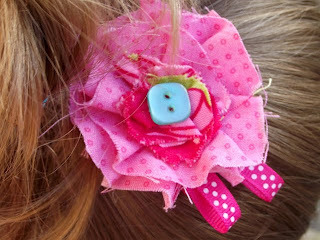 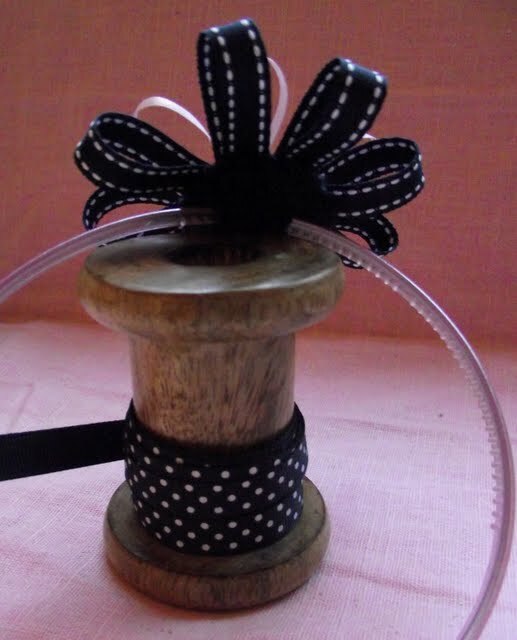 With a pale green button centre and hot pink polka dot ribbon detail. 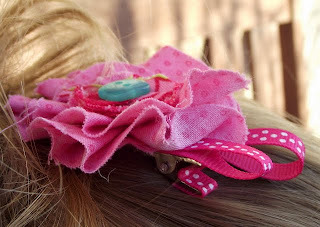 This sweet clip is affixed to an alligator clip and would look adorable on both short and long hair. 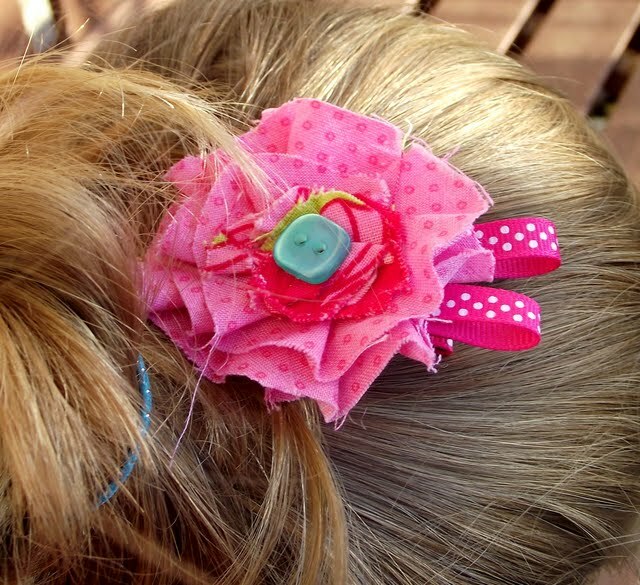 The flower measures approx 2" and so would be suitable for both adults and children. A vibrant green and pink fabric flower headband, comprising of a slightly frayed fabric flower,in beautiful citrus green fabric with shades of pink. A hot pink satin rosette and the whole piece is complemented by a polka dot ribbon detail. The flowers are fixed to a hot pink elastic headband.